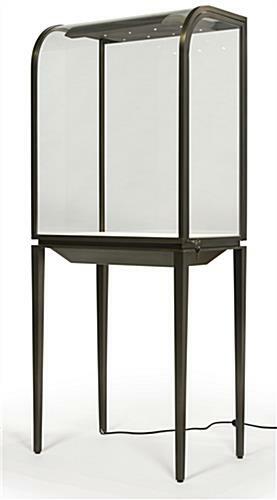 Similar in appearance to a vintage mercantile case, this curved front jewelry display cabinet offers a location for collectors, diamond setters, or watchmakers to store and present their most high end pieces. 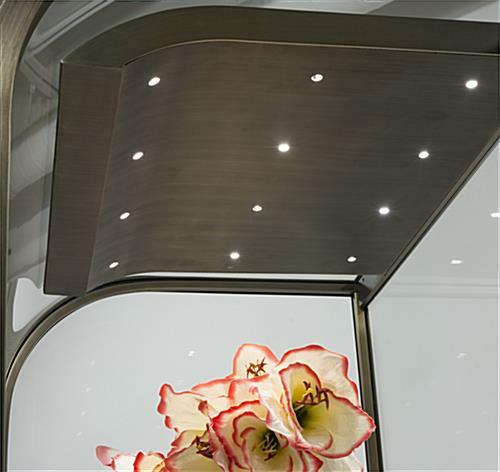 The frontal construction of this tower adds visual appeal with the brushed stainless steel extrusions with a lacquer finish as it arcs at the top near the LED lighting panel. 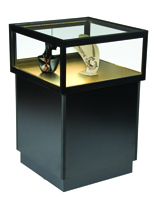 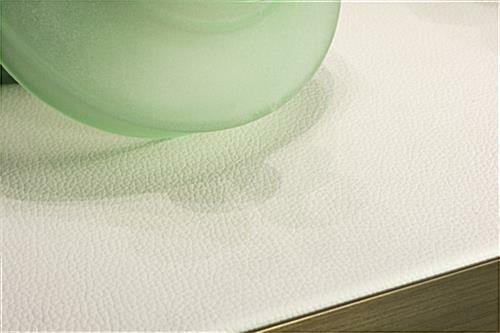 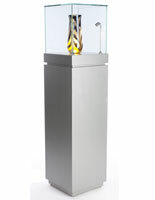 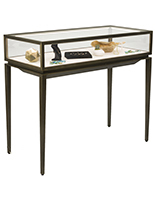 Small, yet vibrant bulbs provide a warm glow within the tempered glass display cabinet with a cream leatherette interior, allowing vintage, art deco, or modern precious stones to sparkle. 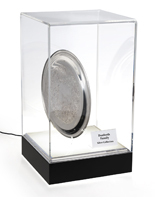 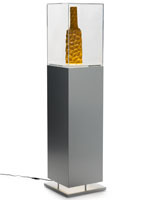 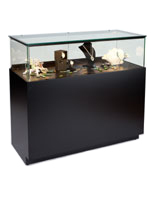 Shipping assembled, collectors or store owners are capable of showcasing items immediately. 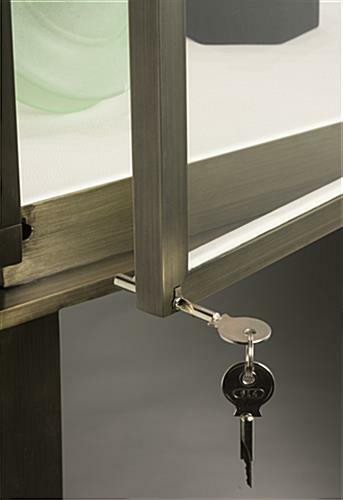 The tapered legs provide a timeless appearance, while the side opening door locks for optimal security. 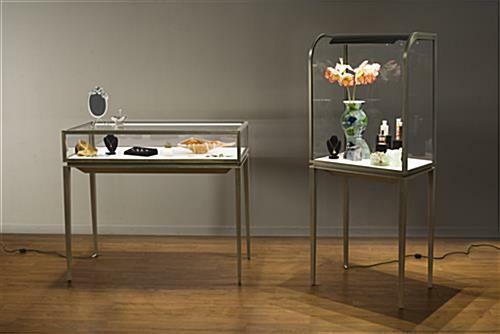 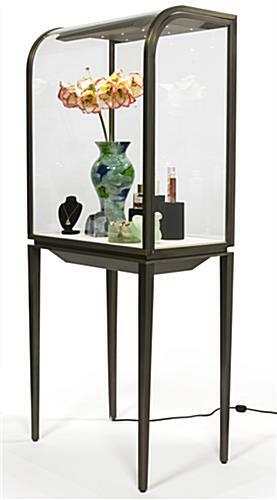 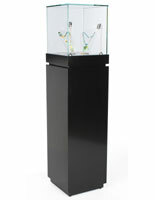 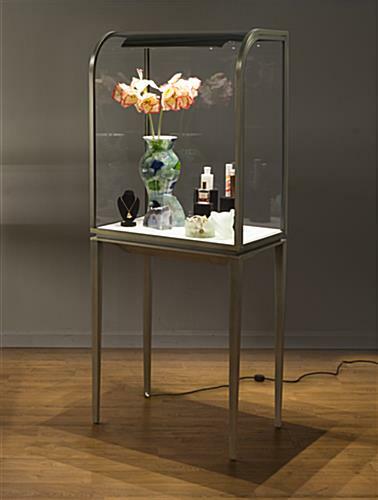 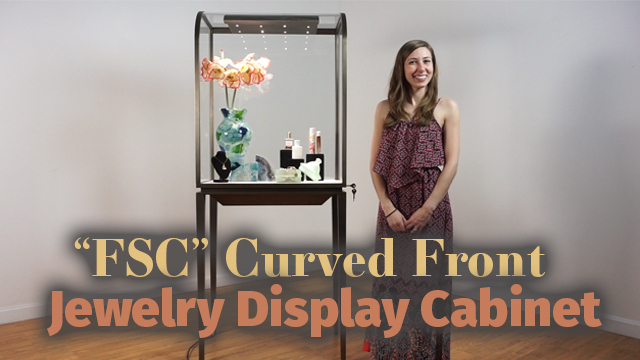 With a unique frontal construction and simplistic design, this display cabinet ensures visibility for your most high end, antique, or art deco items for sale.